► Although our contract has health care benefits for half-time or more NTTs, others, including UMass Lowell, do not. 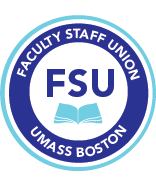 The Massachusetts Teacher’s Association has been fighting to obtain health care benefits for adjunct faculty members who teach at community colleges, state universities and UMass. H. 4153, An Act investing in public higher education, establishes a pathway for adjuncts to obtain health care benefits from their employers. Click here to send a message to your state legislators urging them to support the measure and to express their support for the bill to the House and Senate leadership. ►Our colleagues in the Massachusetts State College system (MSCA) settled their contract in July. But the commissioner of higher education never advanced the signed contract to Governor Charlie Baker, as the law requires, and now the state university presidents are trying to back out on the deal and are asking to renegotiate parts of the contract. This is outrageous and our colleagues at the state colleges are asking for our help. Click here for more details and to send a message to state university presidents demanding that they honor the contract bargained with the MSCA. Barbara Jean Conneely, benefits manager for the Office of Human Resources, will be conducting information sessions to discuss retirement planning from UMass Boston. Group discussions will cover State Retirement applications, GIC/Medicare options, and other retirement information for UMass Boston retirees. These sessions are most beneficial for those who are considering retirement within the next two years. We would strongly encourage you to call the State Retirement Board at 617.367.7770, ask for a retirement counselor, and request a retirement estimate to be mailed to your home address before attending one of the group discussions. Tuesday, December 11, 2018 at 2:00 p.m.
Wednesday, January 9, 2019 at 1:00 p.m.
Tuesday, February 26, 2019 at 9:30 a.m.
Thursday, March 7, 2019 at 2:00 p.m.
Monday, April 29, 2019 at 2:00 p.m.
Tuesday, May 14, 2019 at 1:00 p.m.
Days through the summer and next fall are also listed on our website. Please send an email to Barbara Jean Conneely to sign up for one of the sessions or if you have any questions.